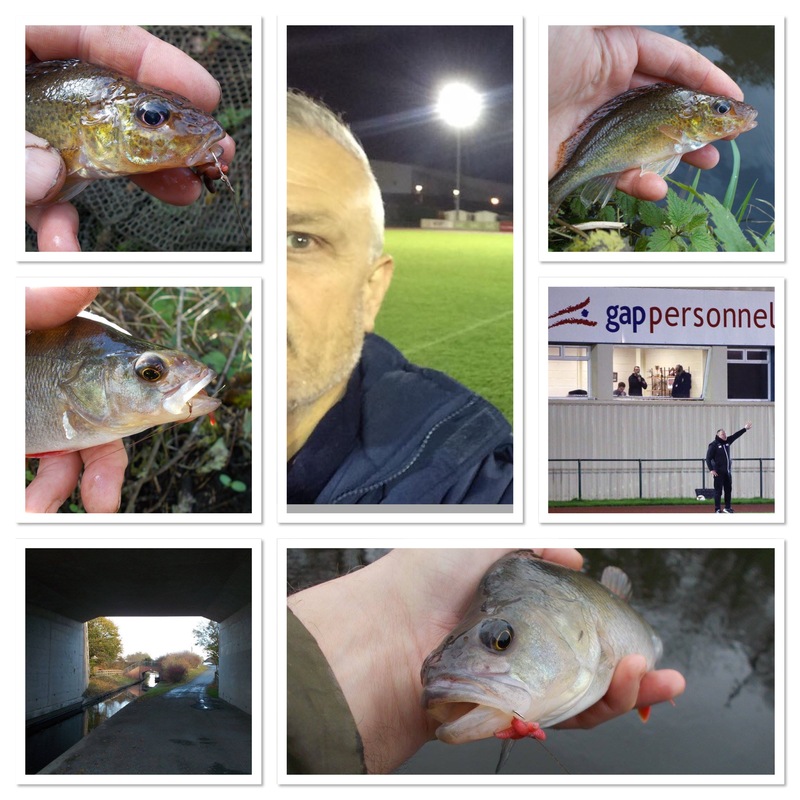 With a busy week ahead, short outings were on the agenda. Session one, although just a couple of hours in length, proved to be very productive. In the middle of the day, with just one boat passing through, unlike four months ago when fishing would have been very difficult indeed at that time of day. 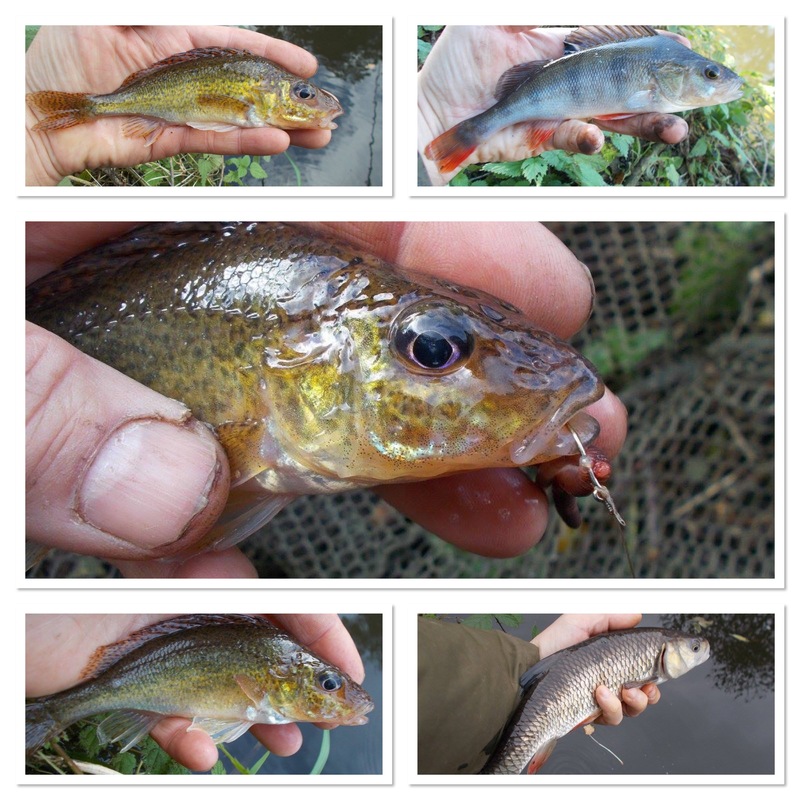 Numerous perch put in an appearance, but the icing on the cake were the three quality ruffe that I banked. I was thrilled with them, I love the species, they’re great. I was going to do a write-up on every outing, but they were all pretty much of the same content. In fact if I describe them as short, sweet canal trips that just about sums it up. I again managed to get out seven times, that’s fishing every day. I’m often asked how I fit angling into my busy life. Well, the answer to that is I make it happen. Sometimes you push yourself that little bit more and that’s exactly what I do when it comes to fishing. The temperature also dropped as well this week so there was quite a variety from nice, very autumn-like days, right through to overnight frosts. 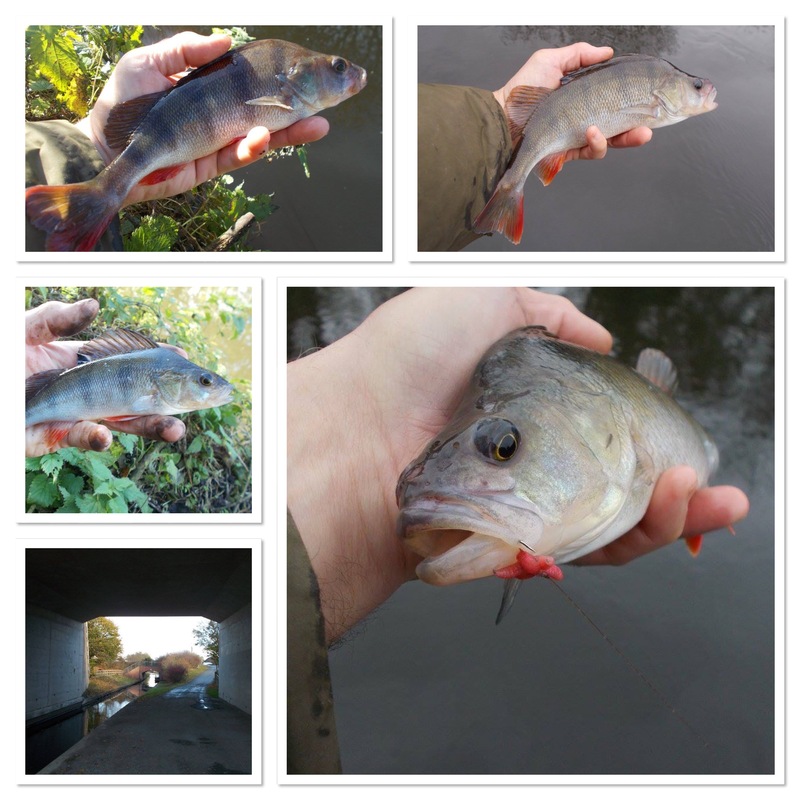 I still caught perch throughout but the bites became much more finicky during the colder spells. You can imagine the fish, almost playing with their food as the sharp drop in temperature causes a loss of appetite. However, the key is I still caught and that’s the point. As I’ve written so many times in my blog, as long as your bait’s in the water you’ve got a chance. That’s a philosophy that I live out, not just treat as a nice, catchy slogan. It works. As I was fishing worm this week, when the perch fishing slowed down the chub became more dominant. A few of those featured, providing some rod-bending action on an otherwise slow day. That’s the thing with chub, they will feed even when other species have gone right off. Hence why we don’t have to pack away during the winter, just target the right fish that’s all. My tactics for the week were my usual, which you’ll be familiar with if you follow my blog entries regularly. My quiver tip rod is already made up, so that’s really helpful as far as short sessions are concerned. I get to the water’s edge, take the Velcro band off, put the rod together, stick a bait on, cast out and I’m fishing. Line is 6lb, the hook a size 10 Drennan Super Specialist and the hook-length of 6-8” is created by nipping on a small shot. Above that is a small bead and a 1/3 ounce lead. Simplicity in itself but as you can see from the photographs in the blog entry, it works. I often see really complicated rigs described and while I would never criticise what others do, for me it’s all about keeping it simple. Certainly at the start of a session. Only tinker as and when necessary. If it’s not broken there’s no need to fix it.